My first Dream Theater album was Falling Into Infinity, which I bought during the hype for the not-yet-released Metropolis Pt. 2: Scenes from a Memory. I had hear so many positive things about this band, I knew I had to check them out. Ultimately, neither of those two albums impressed me much outside of a handful of songs. My general complaint about Dream Theater is that they’re too self-indulgent and overly dramatic. Of course, I realize this is what so many of their fans love, but it didn’t work for me and I wrote the band off after 1999’s Metropolis Pt. 2 as a failed experiment on my part. What brought me back to the band with this album was the fact that I was hearing that that this six-song, 70 minute plus album (!!) featured some of their heaviest and fastest playing. In regards to Falling Into Infinity and Metropolis Pt. 2, this is definitely true and despite my optimism when buying this, I’ve found myself enjoying this album even more than I thought I would. 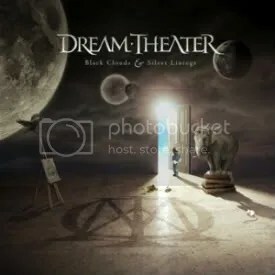 I like the whole album but the opener, “A Nightmare to Remember” would be my favorite and the shortest song on the album, the ballad “Wither” is really strong too (the ballads are usually the songs I like best from Dream Theater). I bought the 3-Disc Special Edition from Best Buy. I don’t think it was an exclusive there though. Disc Two features covers of Rainbow, Queen, Dixie Dregs, Zebra, King Crimson and Iron Maiden. Dream Theater especially shines on Zebras “Take Your Fingers from My Hair”. Disc Three is instrumental mixes of the album, with a few changes here and there. Disc Three is fine for what is it, but I’d rather listen to those songs with vocals than as instrumentals.